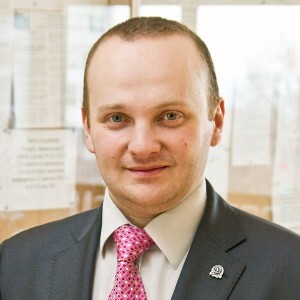 Aliaksei Zhurauliou – professor of economics and management of foreign economic activity, head of the department of international cooperation, Doctor of Economics, associate professor. In 2008 he graduated from Kharkiv National University named after V.N. Karazin, specialty “International economic relations”. In 2012 he defended his Ph.D. thesis on “The Influence of Macroeconomic Factors on the State of the Balance of Payments (on the Example of Foreign Economic Relations of Ukraine and Belarus)” by the specialty 08.00.02 – “World Economy and International Economic Relations”. Portfolio investment, stock market, management. Total scientific and pedagogical experience – 14 years. International Trade Contracts and their Legal and Legal Support: Directory / Makers. V.I. Sidorov, V.N. Dmitriev, A.V. Zhuravlev – X.: KNU named after VN Karazin, 2012. – 588 P.